Arts and crafts from LOCAL ARTISTS. 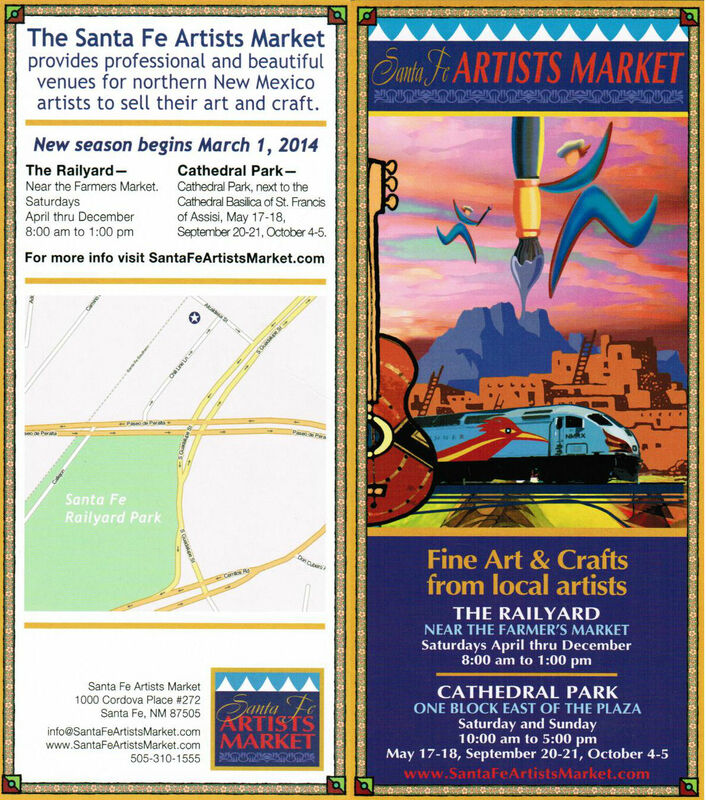 The Santa Fe Artists Market provides professional and beautiful venues for northern New Mexico artists to sell their art and craft. In the Railyard near the Farmers Market. Saturdays — April thru December 8:00 am to 1:00 pm. Cathedral Park, next to the Cathedral Basilica of St. Francis of Assisi — July 6-7, October 5-6 and October 12-13.